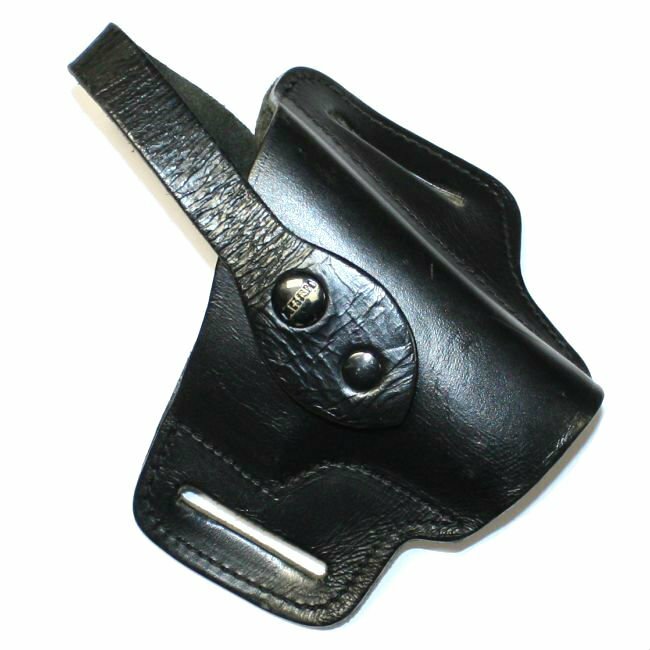 Typical German quality can be seen in the leather construction of this SIG P6 P225 strong side, thumb snap, belt holster. Fits most SIG pistols and other handguns with similar slide and trigger guard dimensions. 1990s production, most are made by AKAH and come stamped Made in Germany. This holster was designed for the German P6 (SIG P225) which does not have a light rail or other accessory rail on the frame. If your pistol has an accessory rail it is possible that the increased frame size will prevent a proper fit in the holster. 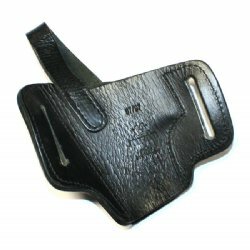 Product Review: Great bargain and a high quality holster, fits my Kahr 45's. Strap may need to be modified or removed, either way it works.